‘Pacific Rim’ To Be Next Mega-Flop? Why these flops are a surprise to anyone is anyone’s guess I suppose. Have you seen the trailer? I mean, c’mon. I remember this film when it first dropped back in the 80’s, it was called “Robot Jox” and that sucked too. Say what you will, but I think Guillermo Del Toro is an awfully overrated director to begin with. I remember working on ‘Pan’s Labyrinth’ early on in its production and remember thinking to myself, “what the hell is this crap”? Everything I’ve seen since has yet to shake that impression from my head. That he appears to be on his way to becoming about as relevant as a filmmaker as M. Night Shama-lama-ding-dong gives me hope. Perhaps he will stick to Executive Producing from here on out. Those duties at least seem to allow him to make money for other people. At any rate, the Brothers Warner however, seem to have quite a big mess on their hands. Maybe they can lay off some more mid-level management for the failures of the executive class yet again. Check out the full story over at Variety. 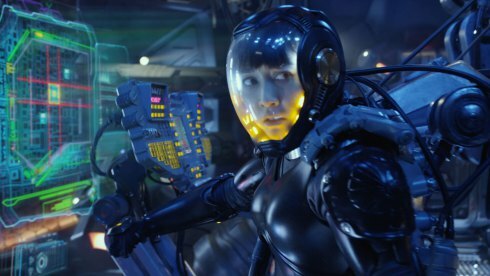 ‘Pacific Rim’ Looking Dire With $25 Million-$35 Million Opening | Variety.